Well, here we are at THAT time of year. The time when those who have already created a plan for 2017 are sitting pretty, safe in the knowledge that they have it all mapped out. And then there’s the rest, who don’t. Who might be a little overwhelmed by all this talk of planning, setting goals, smashing 2017 and so on. Now as someone who creates business strategies for a living, you’d think planning for my own business would be a walk in the park for me. But I have to confess, that wasn’t always the case. You see, when it comes to my own planning, I was great at putting the initial plan together, full of new, exciting ideas I’d introduce to the world during the year. But more often than not I’d lose my way. Another shiny idea would grab my attention like a toddler in a toy shop, and then I’d be gone. That was until I read a book. I discovered that a 90 day plan was way more effective than a 12 month one. I mean, who ‘actually’ manages to deliver everything in a 12 month plan? The time period is too long. There are too many variables. But with 90 Days, the time frame is much shorter, your focus is sharper and you’re less likely to put stuff off until later. It helps save you precious time and ensure that you GET IT DONE! 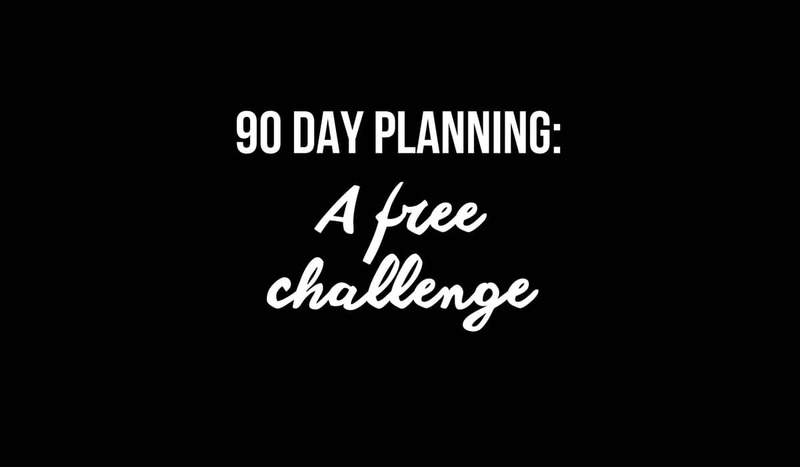 This led me to create my own 90 day planning process, which I introduced this summer. The results were remarkable. So I tried it out with my mastermind. Again, the results were remarkable. I’ve now completely redesigned my business strategy around my 90 day framework and this, my friends, I would like to share with you … for FREE! If so, head on over to my Facebook Group and settle in. We start on the 9th Jan.
Oh and the book … it was The 12 Week Year by Brian Moran and Michael Lennington. I highly recommend it.